If you owe money to the IRS for taxes this season, but you don’t have enough cash in your bank account to cut the check, all is not lost. First things first: Make sure to file your return. That way, you avoid the failure-to-file penalty. Next, decide how much you can pay. The more you pay down now, the less you will pay in interest and the monthly late payment penalty. Then, depending on your circumstances, you can request an extra 120 days to pay, either through the Online Payment Agreement application or by calling 800-829-1040. It’s important you address this now, because if you don’t pay or get an extension, the IRS will send you a bill for the amount you owe, which starts the collection process, somewhere you don’t want to be–both for your emotional and financial state. This is the easiest way to do it. If you are just waiting for a paycheck and can pay it off at the end of the month, there’s no reason not to put it on your credit card. If you think you will be carrying a balance if you use your credit card to pay, use this calculator to figure out how much it will cost you to pay the interest on it. A good rule of thumb is that if you owe the IRS less than $300 and you plan on paying it off within the year, this is a good option. You could consider taking out a personal loan, but make sure you are getting it from a good source such as a credit union, which can give you a loan at about 11%. This is a good choice if what you owe to the IRS is less than $1,000 and you’re planning on paying it back within the year. You’ll pay about $88 a month to pay it off over a year, adding up to $56 in interest. The IRS will charge you a fee for setting up an installment program, so we only recommend this if you owe more than $1,000 or so. If you do a direct debit agreement, where regular amounts are transferred directly from your financial institution, the fee is $52. If you do a standard agreement or payroll deduction, the fee is $105. Or, if your income is below a certain threshold based on the federal poverty guidelines, it will cost you $43. You’ll have to apply to qualify for the reduced fee. If you are unable to pay the IRS at all for what you owe, you may request a temporary delay in the collections process or apply for an Offer in Compromise. You can only use these options if there is doubt as to whether the amount you owe is correct, what you owe is larger than your assets and future income together or you are currently suffering economic hardship. Call the IRS using the number on your bill to talk to a representative about doing this, or find all the forms here. Whatever your situation, don’t ever just ignore your tax bill! Contact the IRS right away so that you don’t get nailed with big penalties on top of what is owed, and you’ll have one less stress in your life! 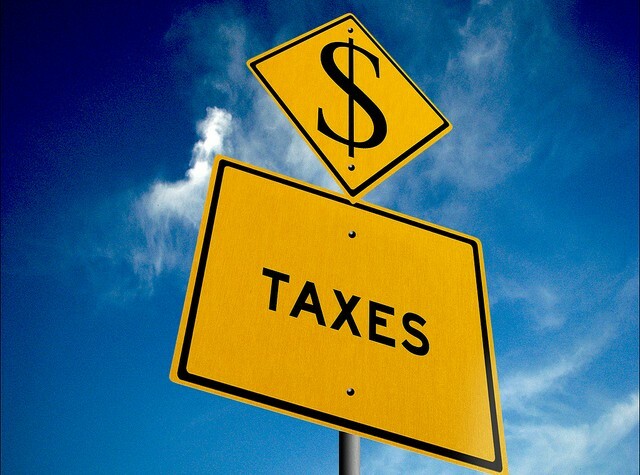 The post What to Do if You Can’t Afford to Pay Your Taxes appeared first on SuperMoney!.